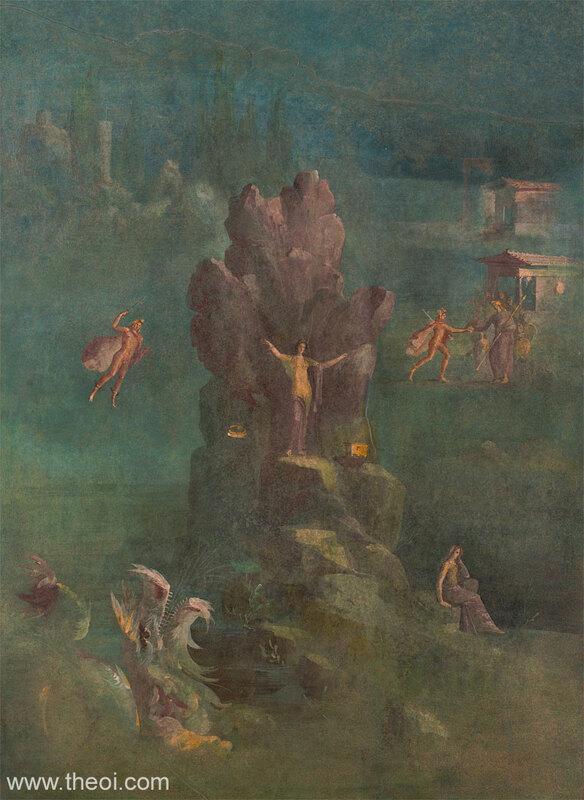 Perseus rescues Andromeda from the Cetus (Sea-Monster). The hero swoops down from the left on winged sandals brandishing a sword. The Ethiopian princess stands chained to a large pillar of rock. Below, rising up from the sea, the monster has the form of a dragon-headed sea-serpent. A small story-book element in the upper right hand corner of the painting depicts Perseus (a second depiction of the hero) greeting King Cepheus in his palace.